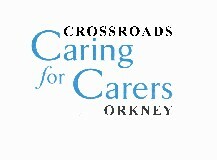 Crossroads Orkney is a charity which was established in 1994 with the aim of improving the life of Carers and those for whom they care by giving information, emotional support and practical help. Our Crossroads Respite Scheme is here to provide practical help to Carers in the form of a short respite break. Our Care Attendant can go into your home to look after your dependant while you have some time off to go to appointments, shopping or to a leisure activity. We can take the Dependant out of the home for a run in the car, a walk, go to a cafe or any other activity they request. Although our service is free of charge there is a small charge of 34p per mile if we take the Dependant out in the car. We can give up to four hours of free respite per week depending on the Carers circumstances. There is also the option of purchasing additional hours at the rate of £10.20 per hour + any mileage incurred at 34p per mile. Our Care Attendants are trained and disclosure checked.